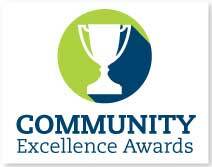 For the latest information on the award, past winners, and how to enter, please visit our Community Excellence Awards website. Honorary Life Membership, first awarded in 1932, is the League's highest honor, reserved for the most active and inspiring leaders dedicated to the League and its mission. Celebrating a chief elected official who personifies professionalism and leadership, is an active League member, is dedicated to the citizens in their community and advocates on their behalf in Lansing and Washington, DC. Celebrating a person dedicated to public service who has shown passion and commitment to the League, enthusiastically supporting its mission and promoting its purpose. The Community Builder Award honors individuals whose leadership creates positive community change. Through efforts such as encouraging civic engagement, supporting up-and-coming leaders, fostering good working relationships, and thinking strategically, they make their community a place where people truly love to live and work. The Legislator of the Year Award is presented to a few legislators for their instrumental actions in the Michigan State Legislature on behalf of local communities. These individuals are recognized for their efforts in the passage of legislation that will benefit local governments, or who have fought consistently to support local government. Each year, the Michigan Municipal League recognizes and honors a select few individuals with Special Awards of Merit for outstanding contributions to Michigan communities. The merit awards are given out during the League's annual Capital Conference. The Outstanding Service Award is granted to individuals or communities who have gone above and beyond in helping League staff advocate on behalf of all local communities at the state and/or federal level. From being involved in our internal committee process, to testifying in front of legislative committees, to being involved on League or legislative workgroups, their feedback and time commitment has been crucial to our efforts. The Elected Officials Academy is a four-level program that recognizes the educational and leadership accomplishments of elected officials. Learn all about it by clicking here. To encourage and recognize the efforts of local elected officials who obtain fundamental information regarding Michigan municipalities. To encourage and recognize the efforts of local elected officials who build on the core knowledge obtained in Level One, to enhance their leadership skills and to continue their dedication to excellence in community leadership. To encourage and recognize the efforts of local elected officials who achieve an outstanding level of education and leadership beyond that obtained in Level Two, and their continuing dedication to excellence in community governance. To encourage and recognize the exemplary service of locally elected officials to their community, to the communities of the state of Michigan, and to the Michigan Municipal League. This award is given each year at the Michigan Municipal League's Annual Convention during the Colloquium session. Click here to learn more. The Workers' Compensation Fund gives out annual Loss Control Achievement awards to recognize communities making outstanding efforts in maintaining safe work environments.